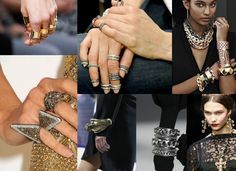 Before you get any big ideas for your next jewelry heist, you might want to read on a little further. This is not so much a “How to” but more of a “How not to” carry out a successful diamond heist. There were no guns, men in masks, scuba diving gear, tunnels into hidden bank vaults or anything remotely resembling what might be considered an organized crime. This diamond theft was more of a disorganized crime. Big news in the diamond mining world: Lucara Diamonds, one of the largest diamond mining companies in the world today, are on a fantastic run in 2015. 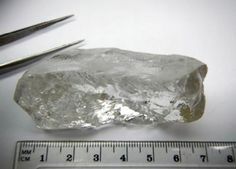 Just last month they reported to have found five massive diamonds weighing in at more than 50 carats each in their Lulo Diamond Concession (or “mine” to the rest of us) in Angola. 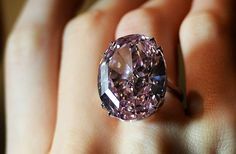 Now this month, they have just reported to the Australian Stock Exchange a new finding of additional large size, and what they’re calling “special” diamonds, from that very same mine. 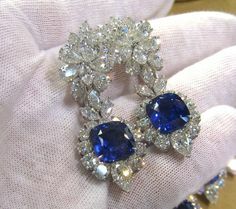 So far, there have been 10,000 diamonds found in Angola Mines this year. Any successful industry is built on collaboration rather than isolation, and nothing demonstrates this better than Henri Daussi, JCK and Gen-Next coming together to celebrate rising jewelry design talent on the 26th of July. Some great news for those of you who love the green and red gemstone variety. Top Danish design house, Georg Jensen, has partnered up with the iconic gemstone miner, Gemfields, on a stunning new collection that features emeralds from Zambia and glistening rubies from their newly discovered Mozambique mine (in the town of Montepuez to be exact). Viviana Torun, the creator of some of Georg Jensen’s most exquisite pieces, has designed this range which includes their first high jewelry pieces such as the Runa Necklaces, which feature immaculate large emeralds set in gold. 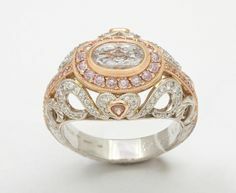 In previous blog articles, NADB has listed the numerous reasons for exclusively selling GIA and AGS certified diamonds. We covered some of the major differences between GIA and EGL graded diamonds and highlighted some of the egregious overgrading practices conducted by several of EGL’s labs worldwide and the ways in which it delegitimizes the industry as a whole. The future is here – whether you like it or not – and it’s going to blow your mind. You may not think the future is here – because you still have to sit in traffic on the freeway and you can’t fly home on super sky-highways – but there are other technologies currently emerging that are just as mind blowing.